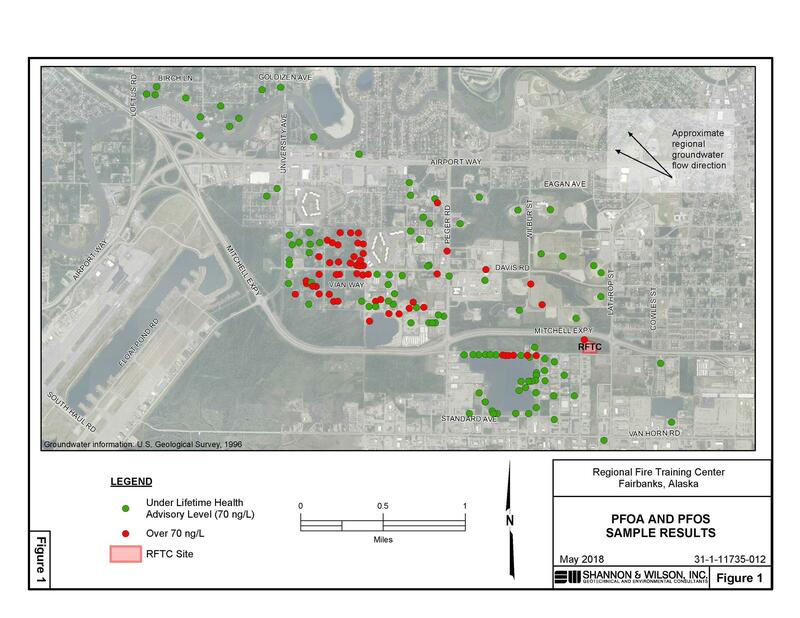 Pruhs told Ewers during Monday’s council meeting that the city must come up with a plan on how it’ll recover at least some of the $3 million the city has spent over the past year-and-a-half trying to help homeowners affected by the growing groundwater-contamination problem. Pruhs said Tuesday the plan would include discussion of how the city could seek compensation for homeowners who he says will be paying for the city’s response to the contamination through their property taxes. He says the plan should include a list of agencies, companies and other entities that have used the city’s Regional Fire Training Center. 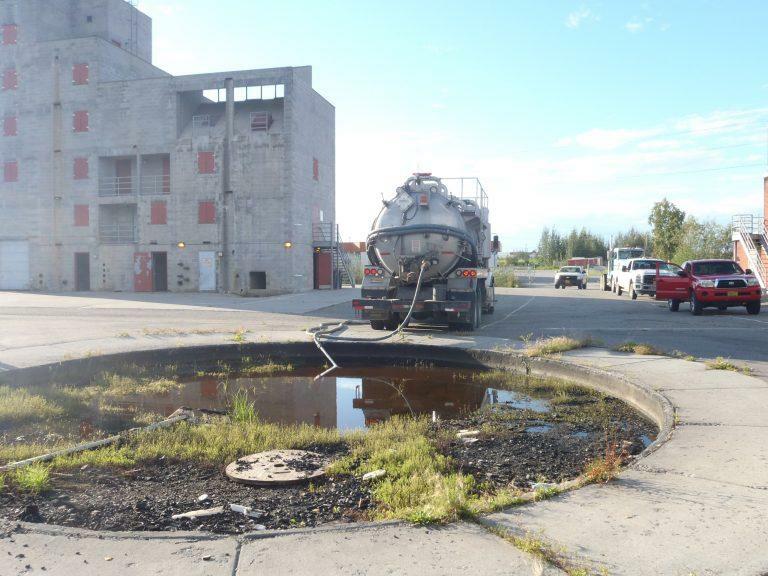 That’s where personnel trained on the use of fire-suppressing foam that contains per- and polyfluoroalkyl substances, or PFAS, the chemical compounds that’ve contaminated groundwater near the fire-training center and elsewhere around Fairbanks. Ewers says training with foam containing PFAS and related chemical compounds took place at the fire-training center for 30 years, ending in 2004. The burn pit was lined with plastic, but firefighting foam was splashed outside the pit during training. That gave the PFAS and related chemical compounds a means to infiltrate groundwater. Mayor Jim Matherly said Tuesday that Ewers has been working on a legal strategy to respond to the groundwater contamination. He says Ewers will try to finish the job in 90 days – but he adds it’s a very convoluted and complicated case. “Obviously this takes time to contact everybody,” Matherly said. “It takes time to figure out who used what, who used it when. Just because they used the fire-training center doesn’t mean they used the fire pit, where the chemical was. The mayor says the case would get even more complicated if the city decided to go after 3M, the Minnesota-based manufacturer that developed PFAS and helped promoted its wide use in many other household and industrial products. Other local and state governments that’ve been affected by PFAS contamination have sued 3M, including Minnesota, which recently won an $850 million settlement with the company. Matherly says Ewers also is considering seeking compensation from local agencies that used the fire-training center. “His other alternative is to contact the state, the university, some of the volunteer fire departments, and he’s done that, to see if they can share the cost,” Matherly said. The mayor says the evolving strategy probably will require city property owners to pay up front, through the extra mill on their property tax bills, to cover the costs of assisting homeowners and pursuing lawsuits until the city can recover damages. Matherly says the council probably will decide in the fall to consider whether and when to levy the additional mill to help pay for the contamination response.